Twelve hundred US states, cities, counties and businesses recently declared their commitment to fulfill the US pledge under the Paris Agreement, responding to President Trump’s small-minded decision to pull the US out. But these commitments didn’t happen overnight. Subnational leadership in driving the transition to low-carbon economies has always been crucial to solving climate change. California and tropical forest states and provinces have led the way. The Paris Agreement brought to fruition twenty-three years of dialogues and negotiations under the United Nations Framework Convention on Climate Change. And while this agreement across more than 190 nations is the cornerstone of a global solution to climate change, it is built upon years of public policy innovation, partnership building, and political support for climate change solutions driven by states and provinces. California’s environmental policy innovations have, for decades, been replicated by national governments and watched closely by industry through what has been dubbed the “California effect”. Less visible is California’s international partnership effect, which is particularly strong with tropical forest states and provinces. 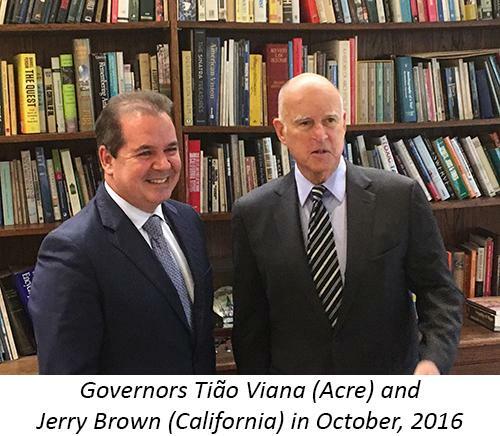 The importance of these partnerships was captured eloquently by Tião Viana, the Governor of Acre State, who last October told California’s Governor Brown that Acre’s economy is seven hundred times smaller than the California economy, but that its contribution to climate change solutions is about the same. Could this be true? Yes. Acre is a state in the southwestern corner of the Brazilian Amazon region that is small by Amazon standards–about the size of New York State or England. Gov. 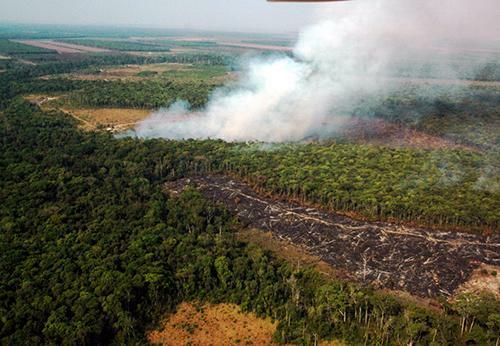 Viana was referring to Acre’s success in slowing down the clearing of its forests, which should avoid 300 million tons of carbon dioxide emissions by 2020. California, by comparison, will avoid 360 million tons of emissions by 2020. Acre’s contribution is small compared to that of Brazil’s agricultural giant, the state of Mato Grosso. Governor Pedro Taques launched the “Produce, Conserve, Include” plan in Paris as the UN agreement was being finalized. 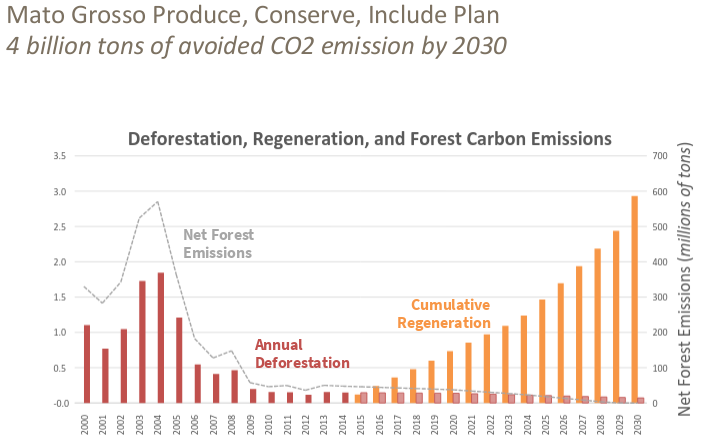 The PCI plan would keep 4 billion tons of CO2 out of the atmosphere by 2030 through steep reductions in deforestation and a massive reforestation effort. The US Clean Power Plan—which the Trump Administration is dismantling—would avoid 2.7 billion tons of CO2 emissions by 2030 if implemented. Acre, Mato Grosso and California are reducing carbon pollution while growing their economies, solving social problems, and putting into practice the principle of environmental justice—making sure that the burden of environmental degradation does not fall disproportionately on the backs of the poor. All three are inspiring other states and their national governments to follow their example. And all three are fighting the regressive efforts of their national leaders—Temer and Trump—to roll back important environmental legislation. 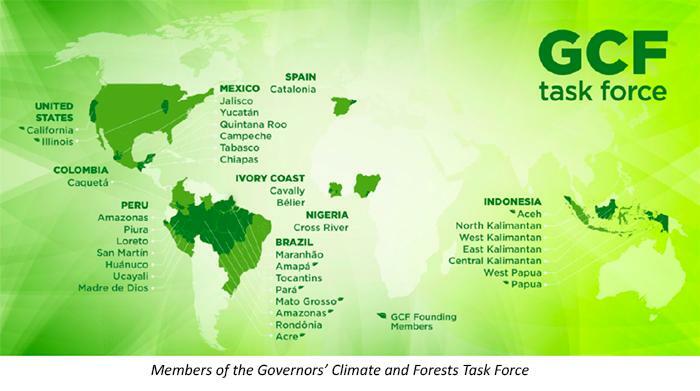 Acre, Mato Grosso and California are founding members of the Governors’ Climate and Forests task force—the “GCF”—a partnership of 35 states, provinces and regional governments. The GCF was launched in 2009 with support of then-governor Arnold Schwarzenegger as he sought to extend the influence of California’s new “Global Warming Solutions Act” to states and provinces in tropical forest regions. More carbon pollution is being dumped into the atmosphere through tropical forest clearing and degradation than by all of the 27 European Union nations combined. The GCF members include one third of the planet’s tropical forests, and have pledged to slow deforestation in their territories 80% by 2020 if there are willing partners. These pledges surpass those made by their national governments within the Paris Agreement. Pledges can lead to real reductions of greenhouse gas emissions through partnerships. Norway and Germany have been placing big bets on tropical forest nations, states and provinces that are committed to slowing their emissions from deforestation and forest degradation through “pay-for-performance” pledges. If the partner slows deforestation, the money flows. Money is already flowing through Norway’s $1.7 billion pledge to Brazil’s Amazon Fund because of the success of Mato Grosso, Acre and other states—together with the national government—in slowing Amazon forest destruction. The German Government is delivering funding to tropical states through a similar pledge. California is poised to implement the international offset provision of its Global Warming Solutions Act, which would create the first regulated market for rewarding tropical forest states and provinces that succeed in slowing emissions from deforestation. The GCF partnership has inspired another global partnership that was also born in California—the “Under2 MOU“. Its 175 signatories represent 39% of the global economy and are collaborating to lower their carbon pollution and keep the Earth below a two degrees Celsius temperature increase. The quiet revolution among states and provinces seeking to do their part in solving the climate change crisis is now in full view. Together with the growing resolve expressed by leaders of China, France, Germany and other nations to solve climate change and meet their obligations under the Paris Accord, it is possible to envision an under 2 degree world despite the Trump Administration’s dishonest, regressive attacks on climate change solutions. Let us hope that our great-grandchildren look back on 2017 as the time when an irresponsible US leader energized a global, bottom-up revolution that sped the transition to a carbon-neutral human civilization. Daniel Nepstad, a scientist, is the President of the Earth Innovation Institute in San Francisco, California, that supports tropical forest states and provinces in Brazil, Indonesia, Peru and Colombia in their transitions to low-carbon economies.